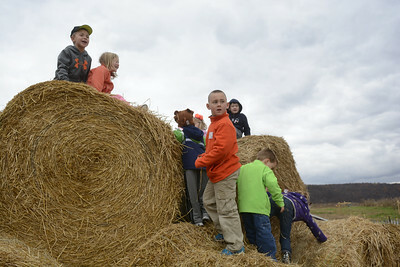 Danville school students who excelled in a school fundraiser were rewarded on Thursday with a limo trip to Pumpkinville in Riverside. 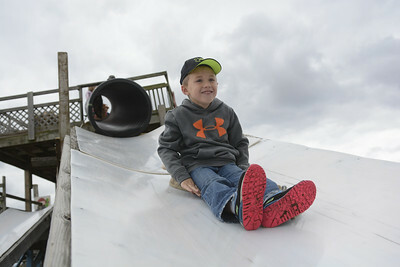 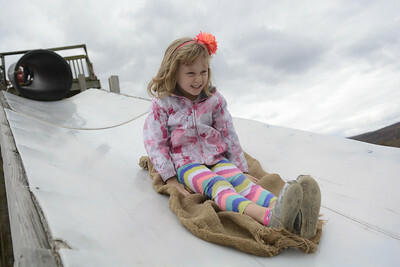 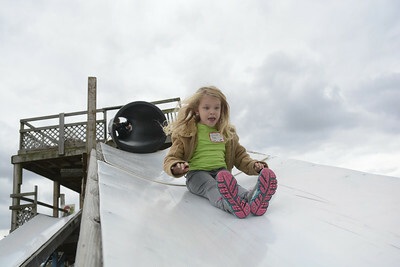 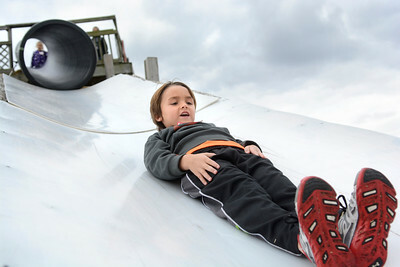 Kindergarten student Braxton Giradi slides down the big slide at Pumpkinville in Riverside on Thursday morning as he and other students from the Danville Primary School were treated for doing a good job in a school fundraiser. 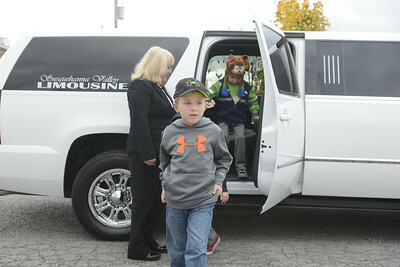 Danville kindergarten student Nathan Klein hops out of a Susquehanna Valley Limousine on Thursday morning outside Pumpkinville in Riverside as kids who did well in a school fundraiser were treated to the trip. 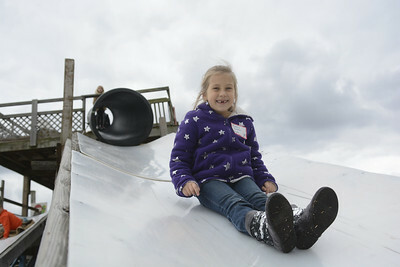 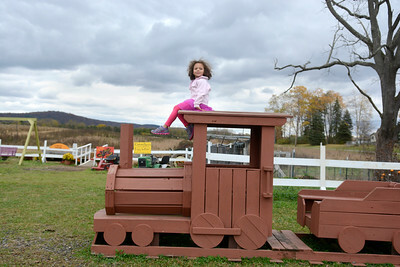 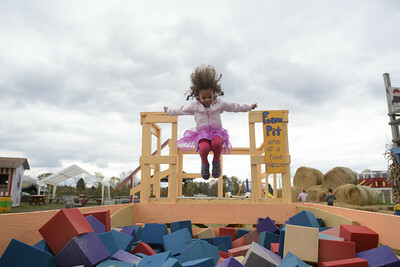 Danville kindergarten student Seyla Lapp sits on top of a train at Pumpkinville on Thursday as she and other students were rewarded for doing a good job on a school fundraiser. 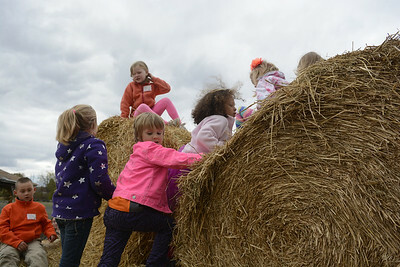 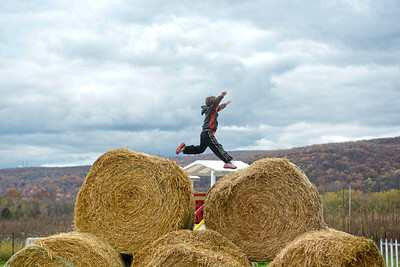 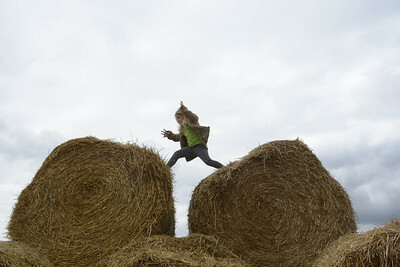 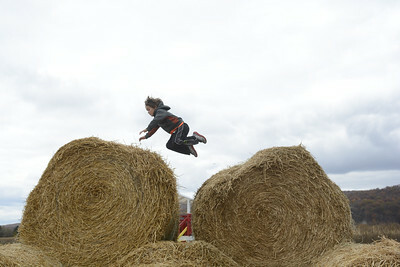 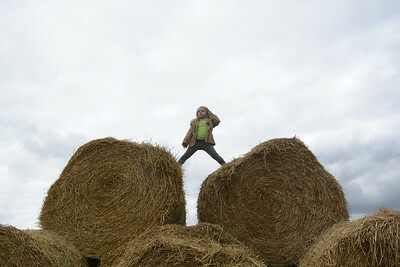 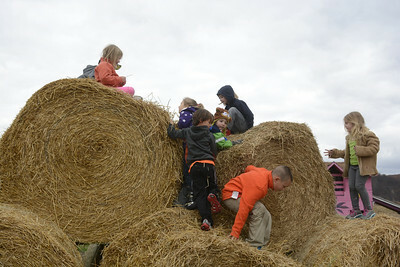 Danville kindergarten student Braxton Girardi jumps across giant hay bales at Pumpkinville in Riverside as he and fellow classmates got a reward for doing well in a school fundraiser. 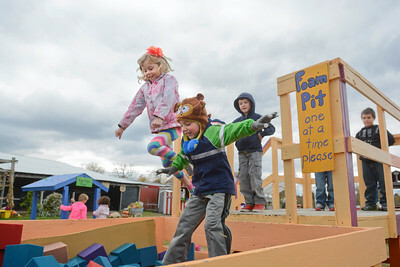 Kindergarten students Alaina McDonough, left, and Nathan Klein, jump into the foam pit at Pumpkinville in Riverside on Thursday morning as they and fellow Danville Primary School classmates were rewarded for doing well in a school fundraiser. 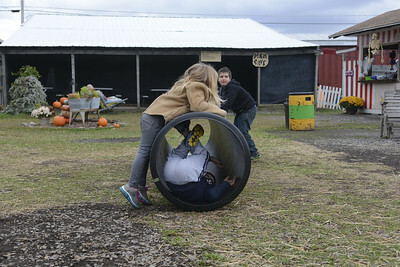 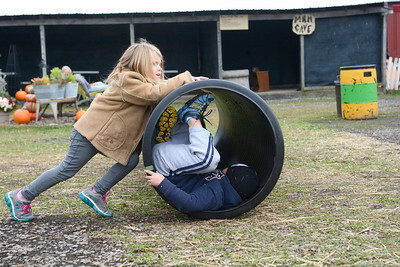 Danville kindergarten students Olivia Poe, left, and Aidon Bingaman, play at Pumpkinville in Riverside on Thursday morning as a reward for doing well in a school fundraiser.